"Corruption has become the most profitable business in Russia" | Russian Legal Information Agency (RAPSI). The struggle against corruption in Russia started 20 years ago, when President Boris Yeltsin signed a decree on corruption on April 4, 1992. 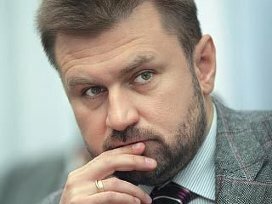 Kirill Kabanov, head of the National Anti-Corruption Committee, shared his views on how corruption in the country has changed since those days with the Russian Legal Information Agency (RAPSI). Russia inherited corruption from the Soviet bureaucratic system in 1991. By the time of the collapse of the Soviet Union, bribery and embezzlement had become systemic. The creation of new economic mechanisms, broader liberties and economic liberalization as a whole, and most importantly, the confusion and weakening of the system of governance [following the dissolution of the Soviet Union] contributed to the growth of corruption. The worst thing is that Russia had no concept of a national cause or an ideology of state service in the 1990s, and nothing has changed since then. The 1990s saw high-profile exposures and resignations of many state officials, as well as criminal cases of corruption in the top echelons. Among the reasons were nascent political competition and the growing influence of the media. In other words, bureaucrats did not feel fully protected from public pressure. But changing times brought new priorities. Administrative reforms were launched several times to cut bureaucracy, yet the number of bureaucrats and state functions kept growing. Today the state has 1,800 superfluous functions. 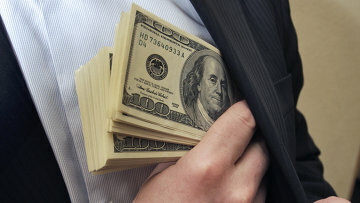 Corruption has become the most profitable business in Russia and is estimated in the hundreds of billions of dollars. Like businesses, it is divided into small, medium, big and oligarchic corruption. Oligarchic corruption concerns the siphoning off of federal budget funds and the distribution of natural resources. Small corruption involves bribes that people pay officials every day. Like President Dmitry Medvedev has said, corruption has started replacing the system of state governance. Personally, I think that it has become the ideology and rationale of state service for many officials. In 2006, Russia launched the ratification of several international laws on corruption. But the legal definition of corruption was only provided in 2008, at the initiative of Dmitry Medvedev. The adoption of a large package of relevant laws was designed to form the legal basis for fighting this evil. Corruption is an evil because it threatens national security, undermines successful economic development and violates the basic principle of society – the principle of justice. President Medvedev has recently held another meeting where he said that civil involvement is the key priority of anti-corruption measures. Citizens and society are the main stakeholders in the anti-corruption struggle, while civil infantilism and cowardice provide additional incentives to embezzlers and bribe takers. Corruption is a huge problem, but it is good that the country’s leadership is aware of it. To avoid serious, even irreparable consequences, we must unite our efforts and establish practical social mechanisms capable of improving the situation.